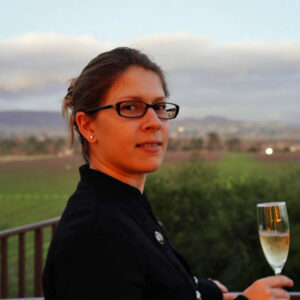 Jane Halahan Valentin is a luxury Winemaking professional currently serving as Assistant Winemaker to the Stags’ Leap Winery and Beringer brands. She is also the Winemaker for Vellichor Wines. She studied Winemaking at UC Davis while getting her Master’s at Sonoma State University. Her goal is to showcase the extensive possibilities of traditional varietals, and to make wine that is lush with rich complexity and opulent tannins.